Influencer marketing is booming. Back in 2016, it even surpassed print advertising. While many marketers are investing in influencers, there are many other marketers who are sceptical. This scepticism is rooted in the ambiguity of the term “influence”. Influence is usually dictated by the number of likes or followers; the same numbers that are easier to acquire as one can simply buy them. So when such superfluous factors alone become an indicator of influence, influencer marketing often comes under scrutiny. So when brands reach out to influencers and just look at numbers, the whole concept looks flawed; you are looking to gain an engaged audience but all you get is some numbers, that too for a very limited time. But despite all those arguments against influencer marketing, it is booming. Let’s find out why. Facebook made a major algorithm change in January which has directly impacted your audience’s News Feed showing them more content from friends and family, and less from publishers. Also, if you take into account that about 88% of consumers trust online peer reviews more than brand content, there seems to be a massive space for influencers to hijack social channels and create an influential impact. Influencer marketing on Instagram is now a billion dollar industry. This makes influencer marketing an appealing option for brands looking to enhance their social reach without getting blocked out. Influencers help brands reach their consumers in a less intrusive way. 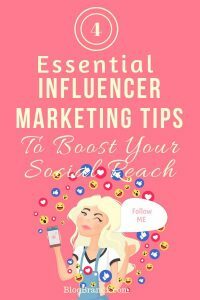 Here are 4 essential influencer marketing tips to boost your social reach. Influencer marketing can mean different things to different brands. For instance, when Karlie Kloss, coding supermodel, took over Forbes’ Instagram account, the intent was to attract a new set of people. Karlie appeared on Forbes’ 30 under 30 covers and Forbes knew it was a good opportunity to let her speak through their Instagram profile since it meant that they could create relevance to a new audience – coders, especially women. 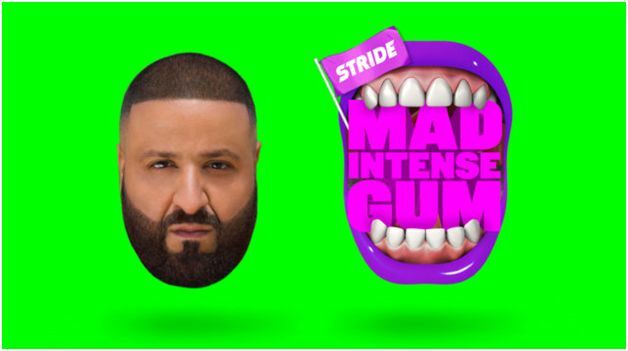 But when Stride Gum launched a Snapchat takeover campaign in partnership with hip-hop artist, DJ Khaled, it was to promote a new “mad intense” selection of the Stride Gum. This influencer tactic aimed at choosing an influencer to match the vibe of a newly added product so he could mimic the exact emotion behind the purchase leading more people to buy it. 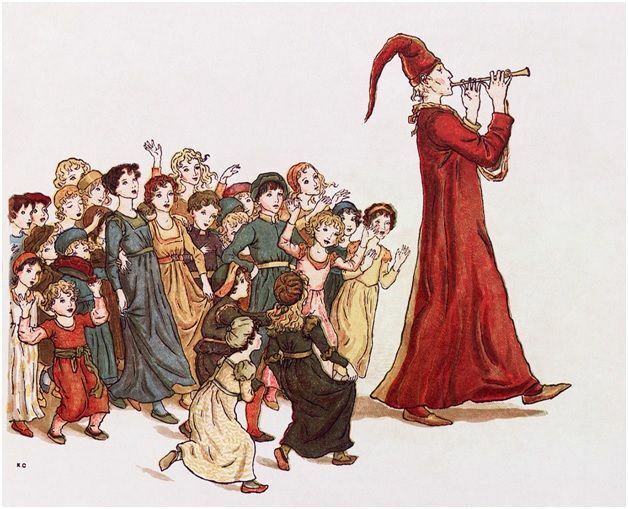 So before you set out for your influencer search, have clarity about your goals. 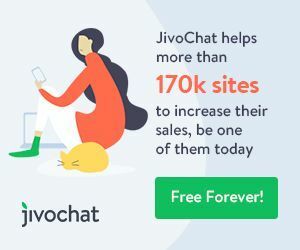 Do you want the influencer to just boost visibility for a new product or you want to tap into the “influence” to target a different set of users? Analyse your goals first. With a fixed purpose in mind, the next step is to map the requirements with the right metrics. So if you are set on an influential path that takes you to a new audience, relevance will matter more than numbers. However, when you are putting yourself out to a wider audience while staying in your current target zone, likes and number of followers are two metrics that take precedence. Also, depending on these metrics, your influencer preference might change. When you want maximum exposure, macro-influencers are who you should seek. 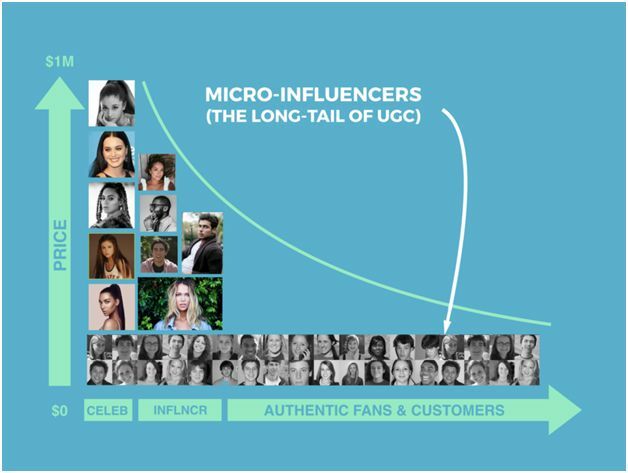 To target a very niche audience, micro-influencers are usually the right fit. More on that, in the coming section. For brands aiming to onboard influencers with massive reach, the whole process can ruin the marketing budget. While celebrity endorsements do open up gates to a huge audience, not all businesses can afford it. This shift is turning brands to micro-influencers (influencers with social media following anywhere between 1000 and 100k). And these campaigns have created great results. In fact, in the ecommerce sector, micro influencer campaigns are 6.7 times more effective than campaigns involving influencers with large followings. This can be attributed to the fact that micro influencers tend to have a much closer relationship with their audience and hence a higher impact in influencing purchase decisions. So not only are micro-influencers more cost-effective but they have the potential to drive better results. While influence and thought leadership take different roads, these two values can be effectively combined. Thought leaders can take up influencer roles and create a lasting impact with their expertise and knowledge. The key here is to locate influencers who have an expertise in your niche, think of food bloggers who know their ingredients or fashion icons who don’t just understand style but also material, comfort and quality. These people love their craft enough to invest time in gaining knowledge. Find these people to speak for your brand. If you are unable to bring them on board as influencers, you can take an alternate route to tap into their social reach. Create content around them, reach out to them with surveys and deliver their insights to your audience. If these industry leaders interact with this content and share it, you still get exposure to a wider audience. The answer often boils down to how you approach influencer marketing. Do you know the right metrics? Did you take your take time to carefully vet the prospective influencers? Are your goals aligned with your influencer strategy? Once you are able to answer those questions, you can figure out the right influencer path for your brand or abandon this road altogether. Vaibhav Kakkar is the Founder and CEO of Digital Web Solutions, a globally trusted agency with a full suite of digital marketing services and development solutions. Vaibhav believes in building system over services and has helped scale up agencies from scratch to niche-leaders with million dollar turnovers.